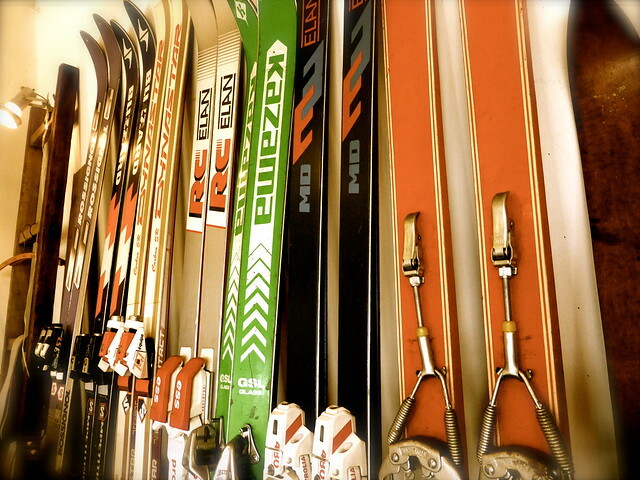 Hokkaido isn’t just a winter wonderland. It’s an awesome place to be in the summer too. 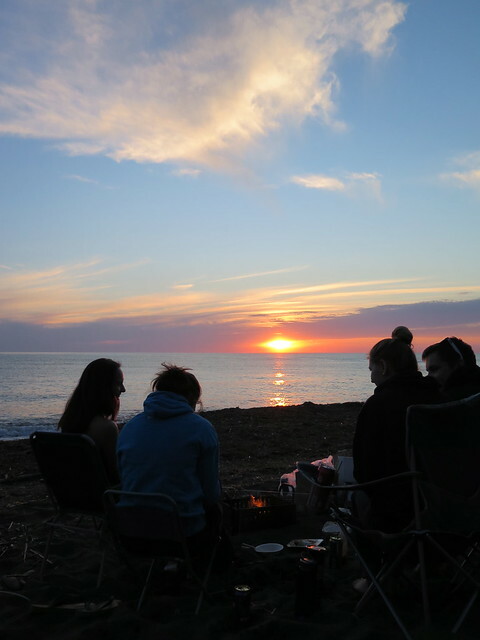 This is the summer blog, packed full of the hiking, cycling and camping adventures we get up to when the island isn’t covered in snow. 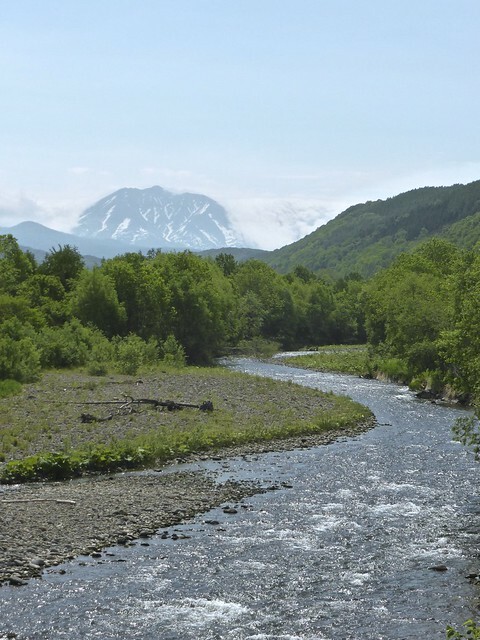 With the last of the snow barely hanging on atop the highest mountains in Hokkaido, camping season is getting underway! 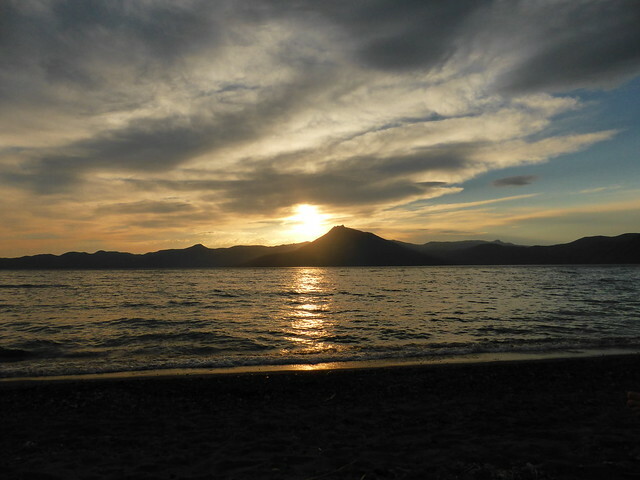 We headed out to the small coastal town of Atsuta on the west coast a little north of Sapporo and Ishikari. The official campsite there is still closed (and pretty ugly anyway) so we walked a little further around the cliffs to get to a secluded part of the beach where we wild camped. BBQ as the sun set. 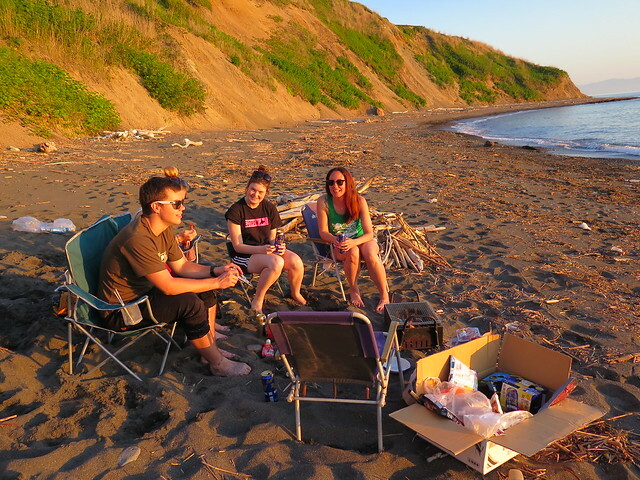 The sea is still wayyyy to cold to swim, but the weather was warm so we sat out and enjoyed a gorgeous west coast sunset while we barbequed. 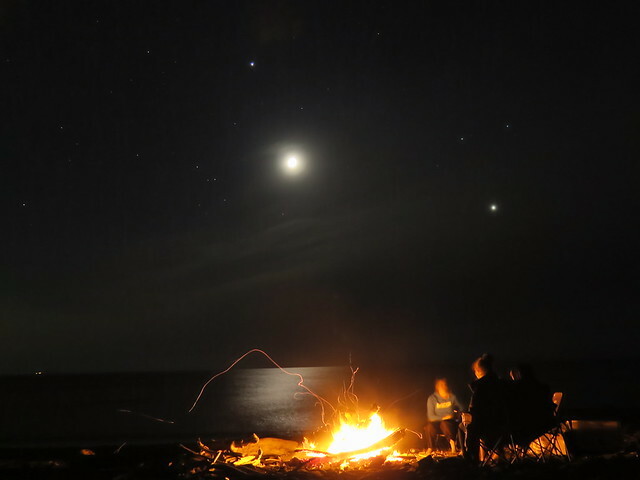 The beach was strewn with driftwood which we gathered up and built a good size bonfire which kept us warm once the sun dipped below the horizon. 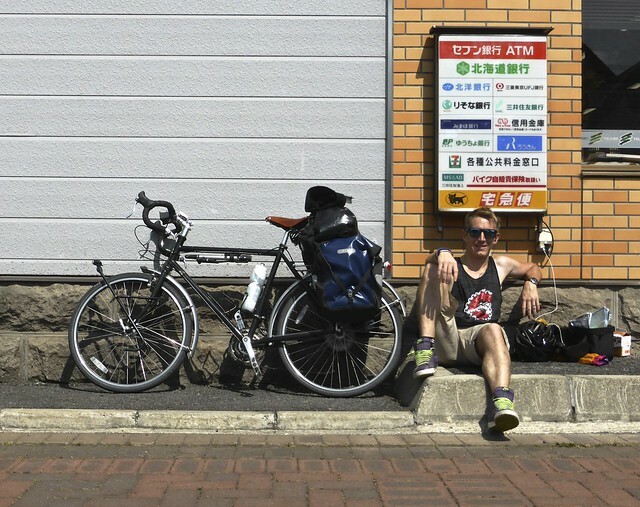 The next day we headed inland to Tsukigata and the trailhead for Pinneshiri. 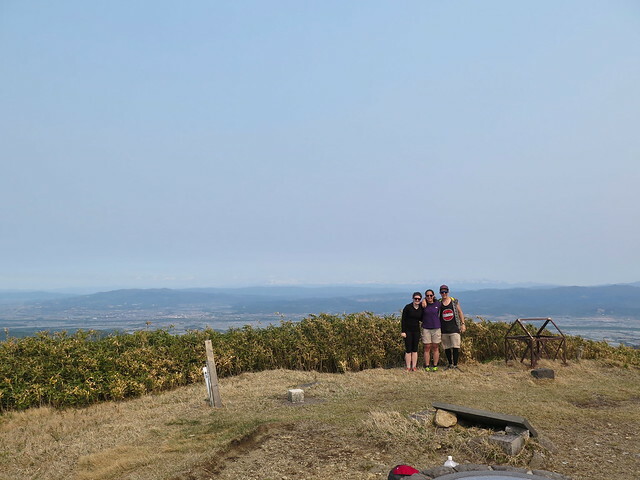 (1,100m) It’s not a particularly tall mountain, but its a scenic one, with 360 degree views on a clear day. 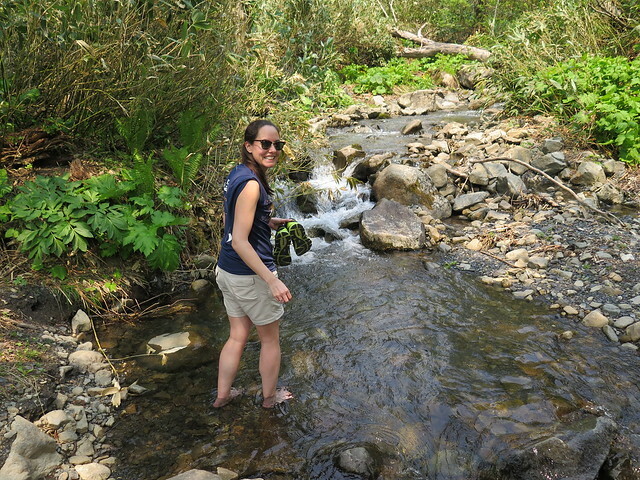 The hike is 19km in total with a few river crossings, so it wasn’t the easiest start to the hiking season. 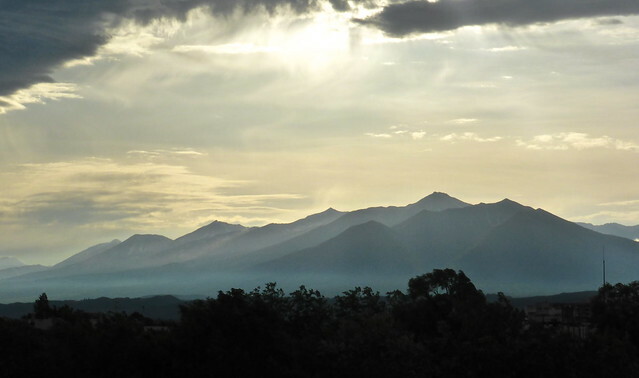 It was worth it though once we were on the ridgeline above the trees and had some incredible views. After the hike, a quick onsen at Tsukigata and a curry at Bombay Blue in Iwamizawa. 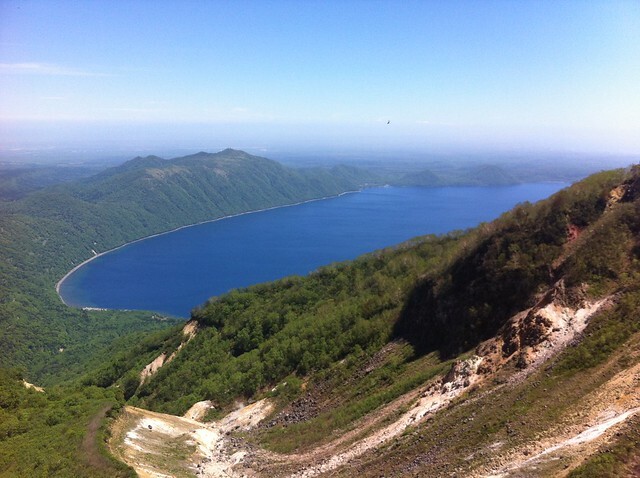 A great Hokkaido spring weekend! 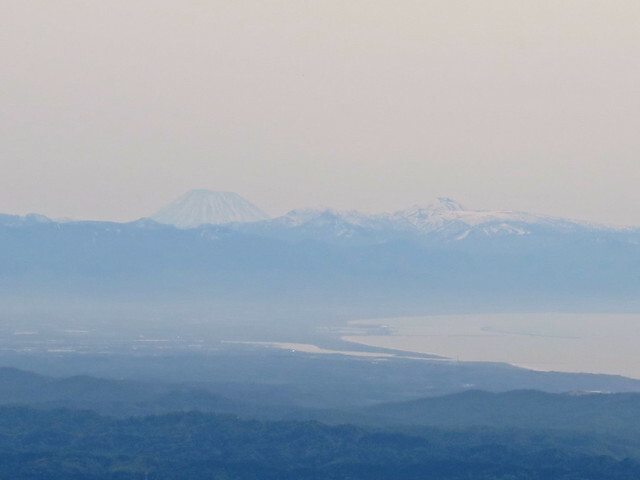 June 20/21 We’ve hiked Mount Yotei a couple of times before over the past few years, once in the autumn, and once in the snow. 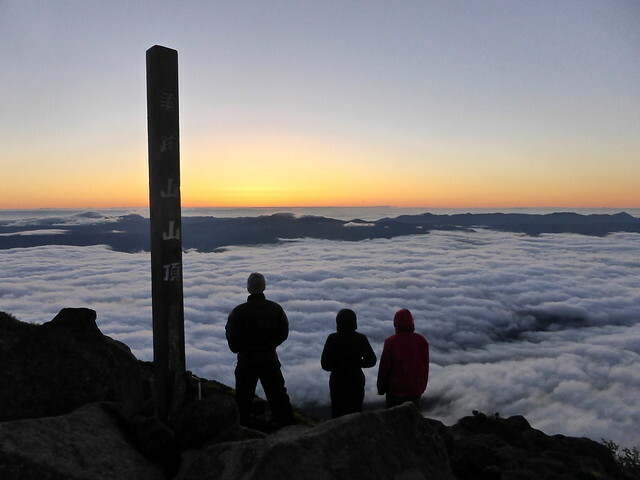 We have been wanting to do the overnight hike to catch the sunrise for a while now, and what better day to do it than the Summer Solstice on June 21st. 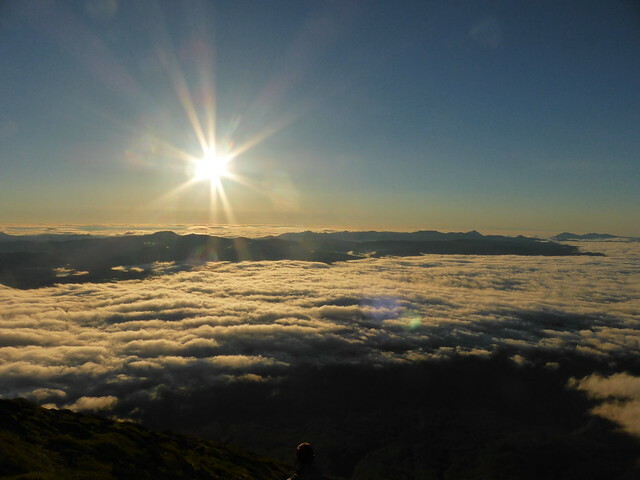 This meant that the sunrise was at 3:55am so we started hiking at around 11:30pm Friday, after driving down to Niseko when we finished work. 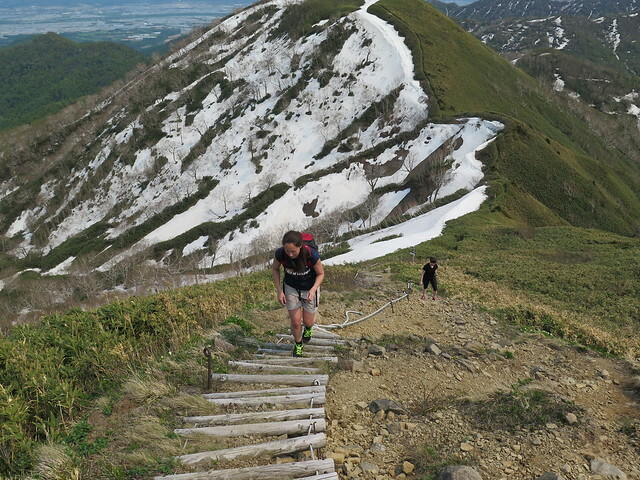 We took the Hirafu route (there are four routes up to the summit) which we’ve done before, but looked very different doing it by torchlight. 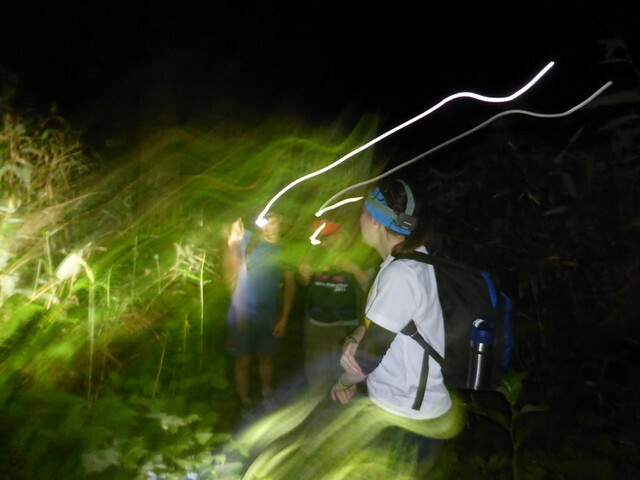 A weird trance like tunnel vision set in as we focused only on the ground infront of us lit by our head torches. 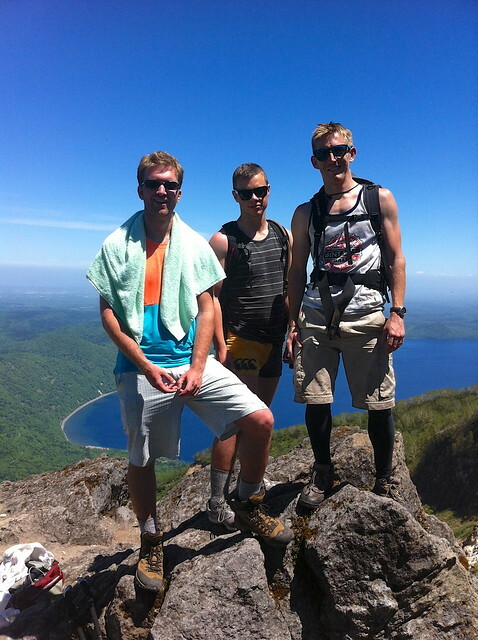 The hike up seemed to go quite quickly, and we made good time to the summit, around 3 hours 30 minutes. 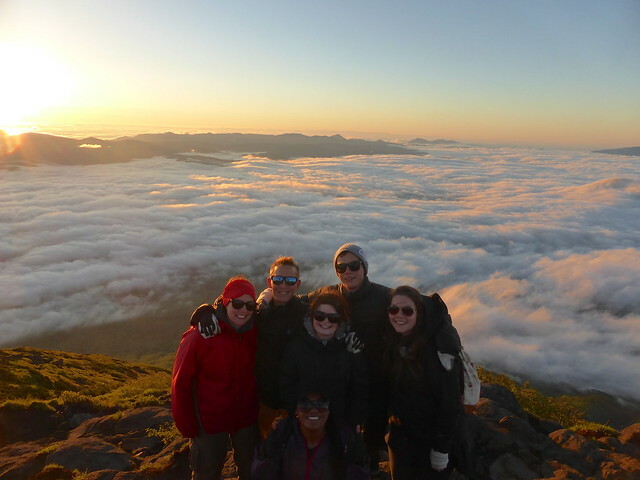 As we were hiking around the crater rim to the eastern side to get the best view of the sunset, we could see the first signs of dawn on the horizon. 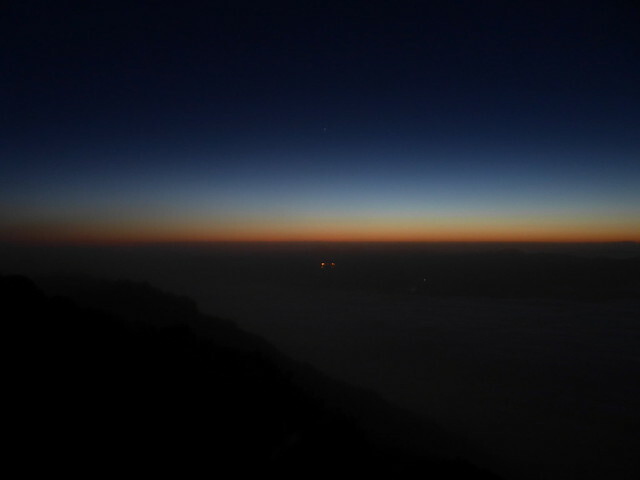 It was a cold wait at the top, watching the sky change colour and waiting for the sun. After being hot from the hike, we needed to put on all our layers, and then we resorted to jumping around, jogging on the spot, and even dancing to keep ourselves warm! Clare, myself, Hattie and Mike. 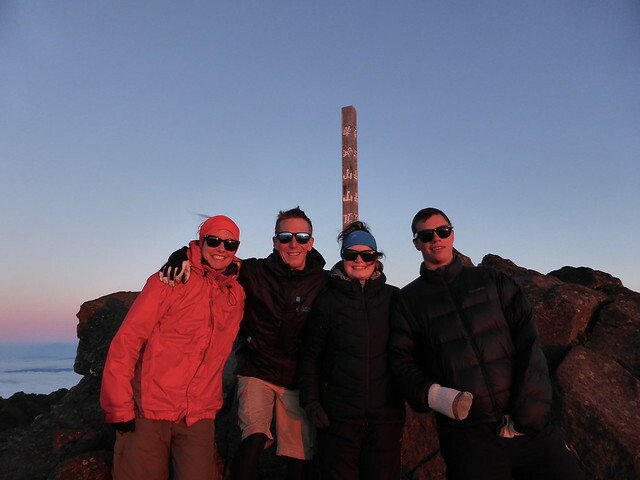 The Ezo Pow crew at the summit. We met up with Natu and Lauren, who had hiked as far as the mountain hut at the 9th station the previous afternoon, then continued to the top after sleeping until 3am or so. This is another option for the hike if you don’t fancy the full overnight slog. 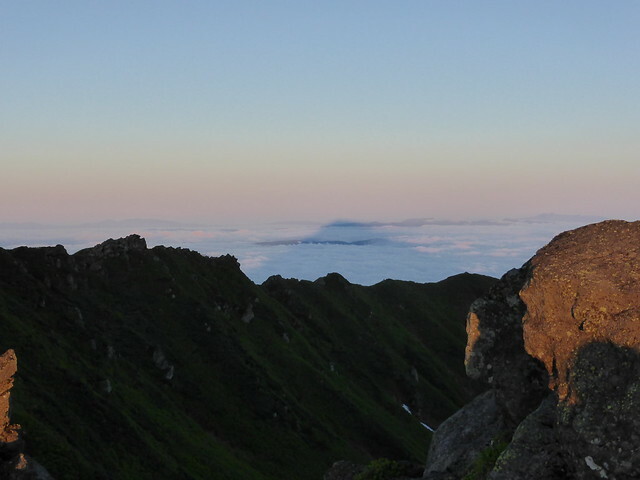 It was great to see Natu at the top, as we had hiked together the last time we did Yotei last autumn. 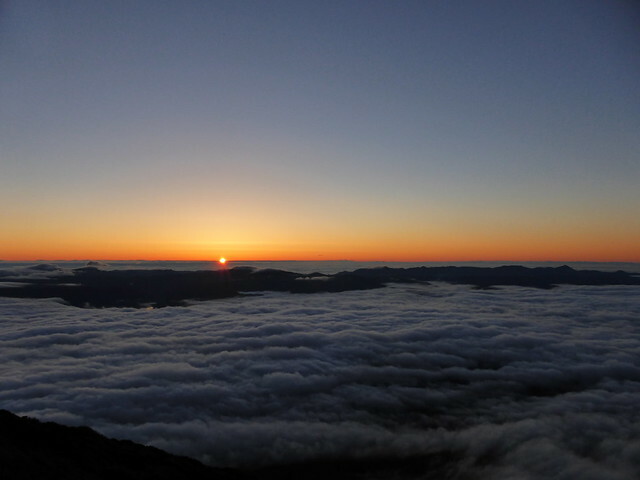 The sunrise was made even more spectacular by the ‘unkai’ (雲海) or ‘sea of clouds’ that was hanging in the valleys hundreds of metres below us. After hanging around at the top for an hour or so after sunrise, we started the hike down. It was an easy hike, especially as we could see where we were walking, but our legs were tired and heads fuzzy from the lack of sleep. 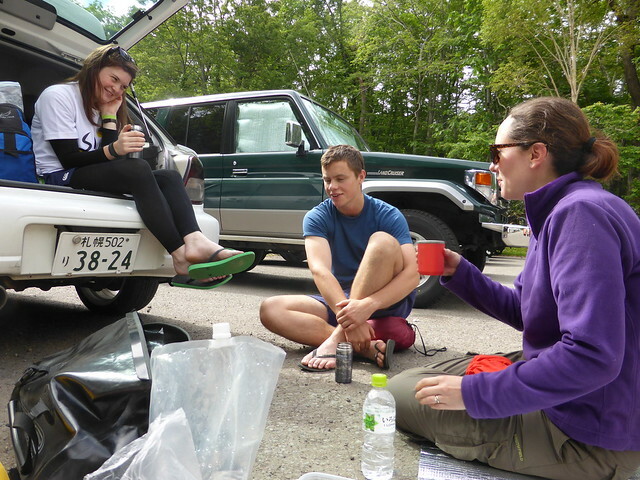 We made it down to the carpark in good time, fired up a coffee on the camping stove and then headed over to Niseko town to the onsen for a soak and a couple of hours sleep on the tatami. 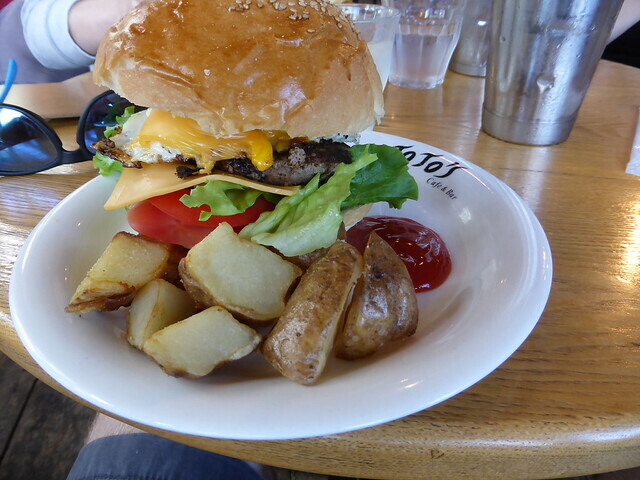 Then it was over to JoJo’s Cafe in Hirafu for brunch. A well earned reward at JoJo’s in Hirafu! 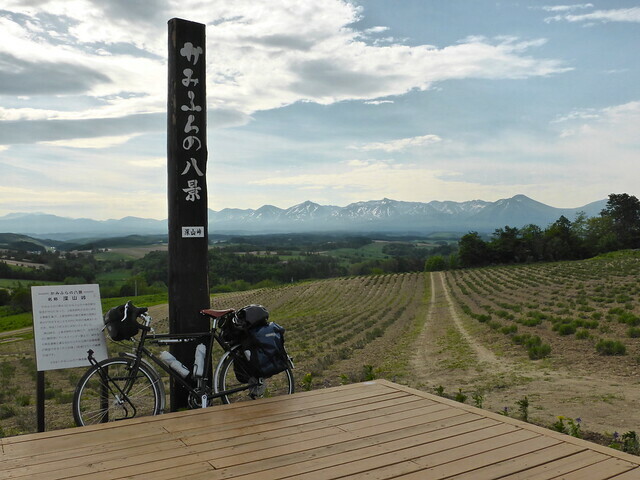 June 6/7 I finished work early on Friday June 6th, so hopped on my bike and set off for what I originally planned to be a 3 day mini tour of Central Hokkaido. 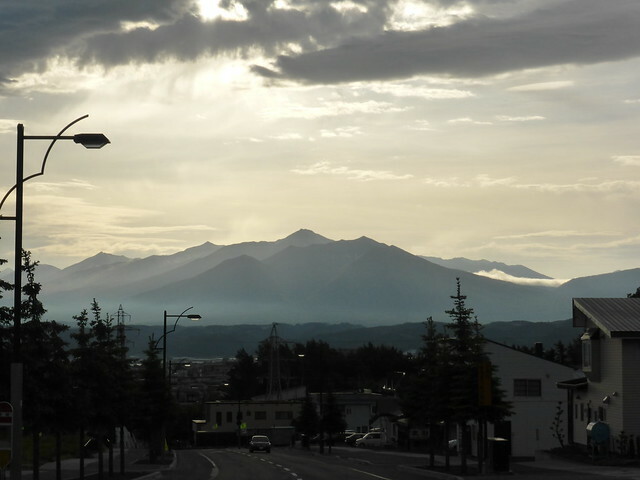 Friday afternoon’s riding was mostly a race against the sunset, as I wanted to get to Furano before dark to find a spot to camp for the night. 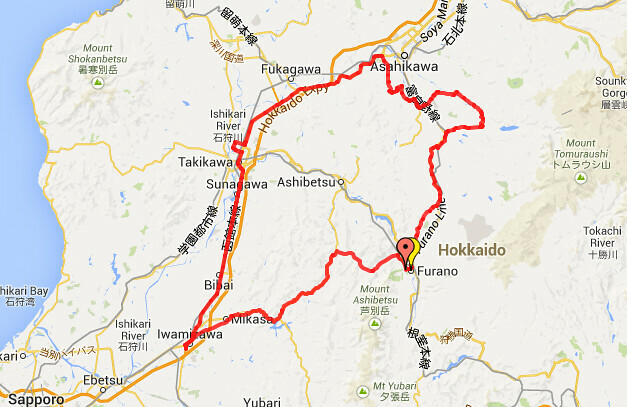 My route took my past Mikasa and Lake Katsurazawa and over two passes. It’s a major route, but still very quiet so there were long periods when I didn’t see any other traffic. I was kind of hoping to see a bear in the hills, but at the same time was quite glad not to! 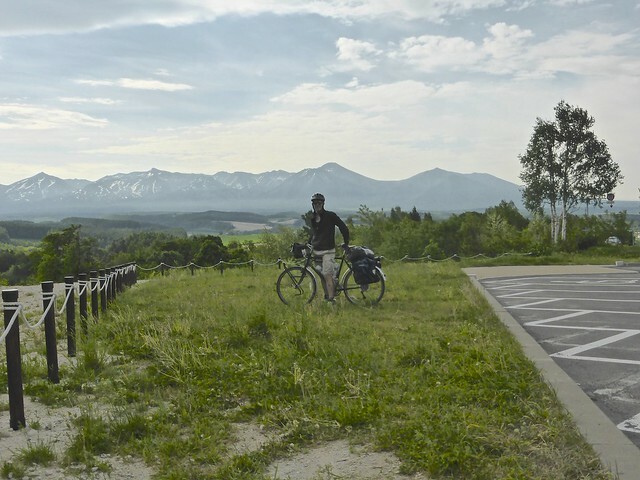 I was fortunate to have a tailwind most of the route, so I made it to Furano well before sunset, and found a great camping spot in a town park close to the Kitanomine ski area. 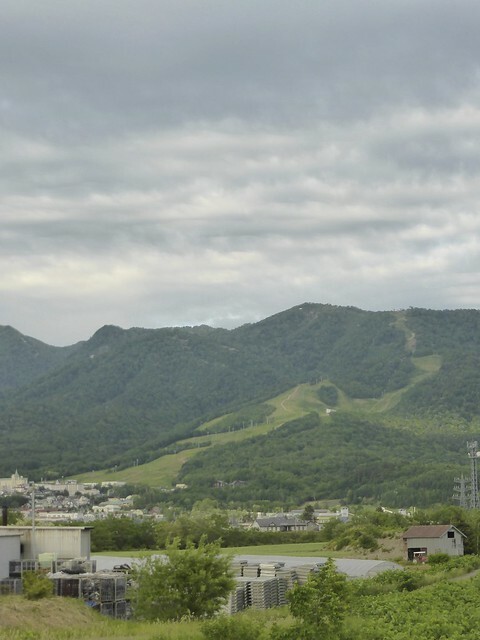 May 31/June 1 Just a week after our last skiing of the year summer really arrived in Hokkaido. Temperatures were up into the 30s and the sun was out. 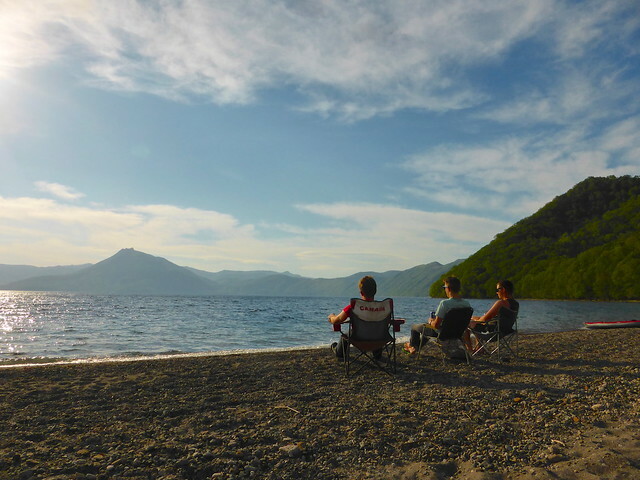 We headed down to Lake Shikotsu to meet up with a few of the Sapporo boys to barbeque and camp overnight. Big thanks to Toshi and Hikaru for raiding Costco for meat and beer on the way down! 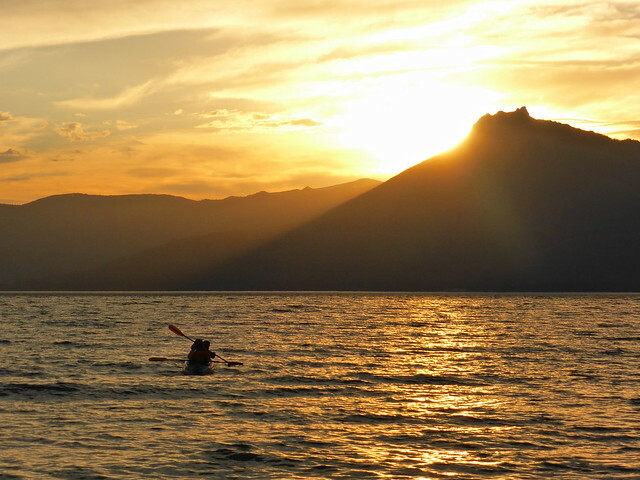 What a way to watch the sunset! Sunday morning we were up early thanks to Hokkaido’s early sunrise and headed around the lake to the base of Eniwadake. 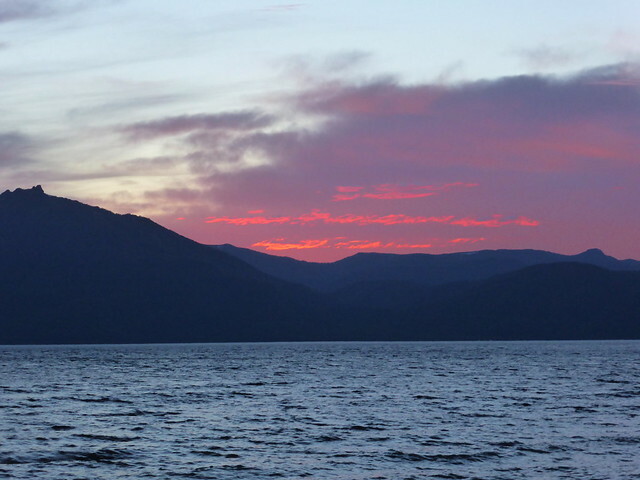 This active volcano is very distinctive, and visible from all for miles around. I’ve wanted to hike it for a long time. 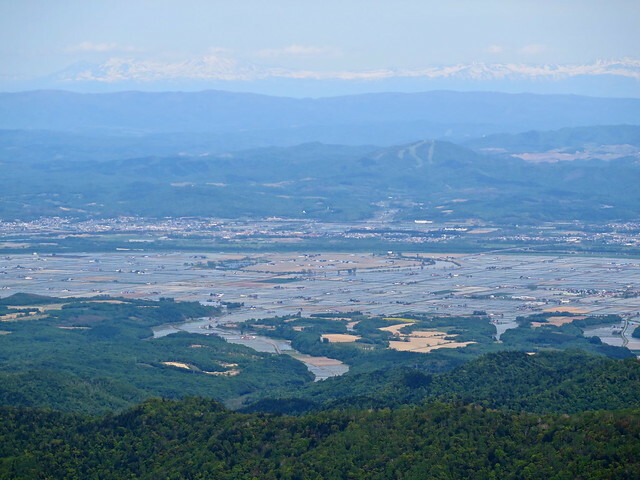 It’s a steep hike, over loose rocks and rough terrain, but after about 45 minutes you get above the forest and the views are incredible for the rest of the hike to the top. I say we made it to the summit, but I mean we made it as far as we could get. 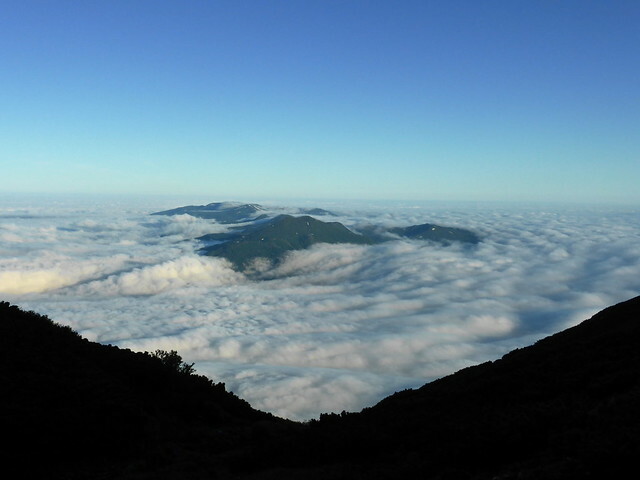 The hiking trail stops at a viewing point, just below the top. The summit area is now closed because volcanic activity has made the peak unstable, so we took the cautious approach and decided not to continue! 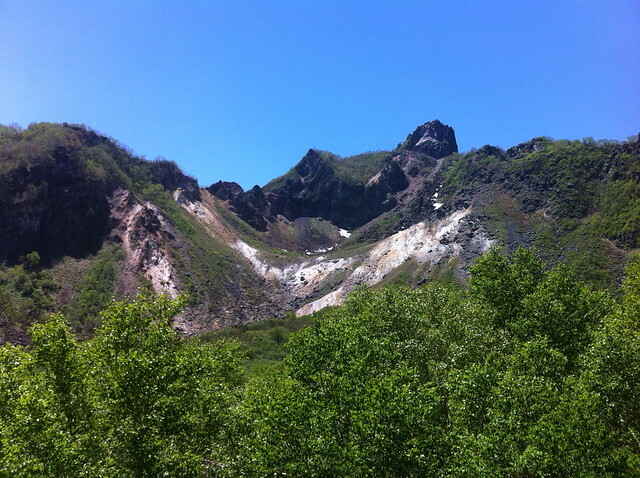 A fun weekend, rounded off with pizza and ice cream in the sun at Kacha in Naganuma.